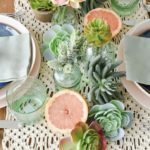 As a long-time party planner, I have created a life that revolves around styling sophisticated, whimsical, and trending parties. 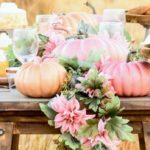 I love being involved in making memories and helping others create celebration opportunities and I am honored to be considered one of the party planning experts in this industry. 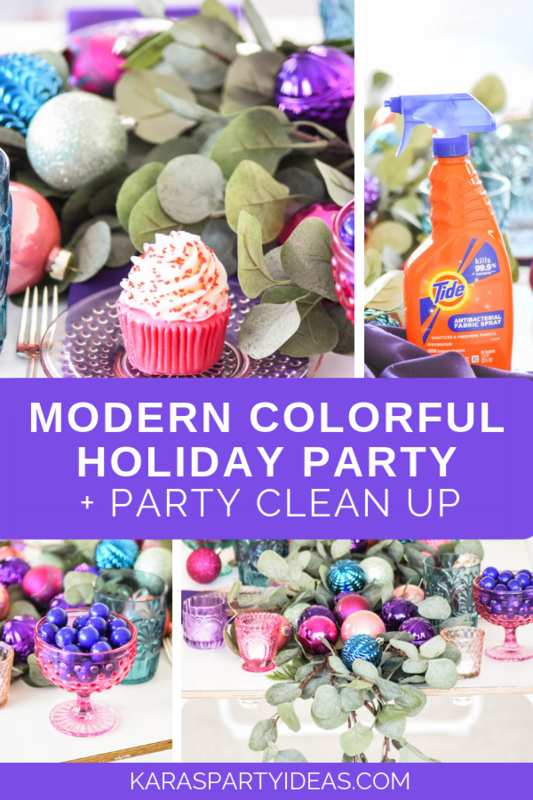 Today Im sharing my tips for a Modern Colorful Party including party prep and clean up with Tides NEW Antibacterial Fabric Spray. You will be hailed as the premium hostess in your circle of friends! 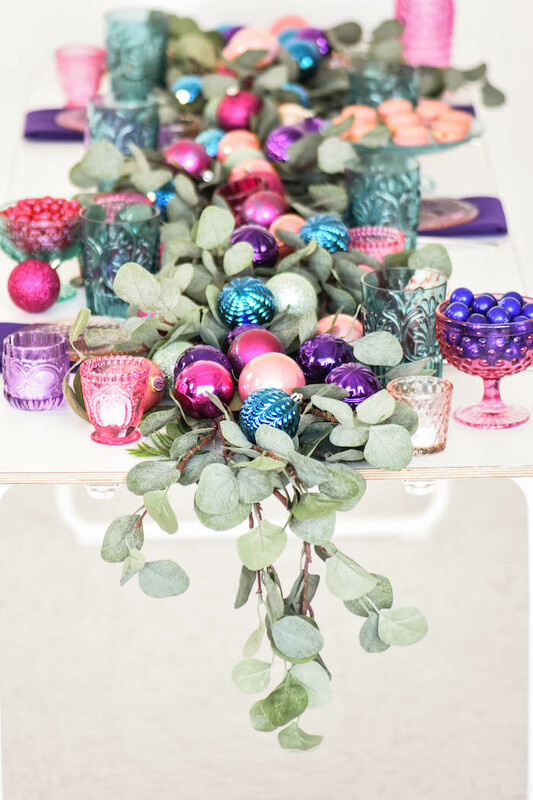 Whether its a party for the holidays, Easter, or even a bridal shower or birthday party, certain steps are always taken: deciding the date of the party, location, theme, time, and menu. Then, the fun (and work!) starts! Invitations are sent out, decorations are purchased, and the cleaning begins. 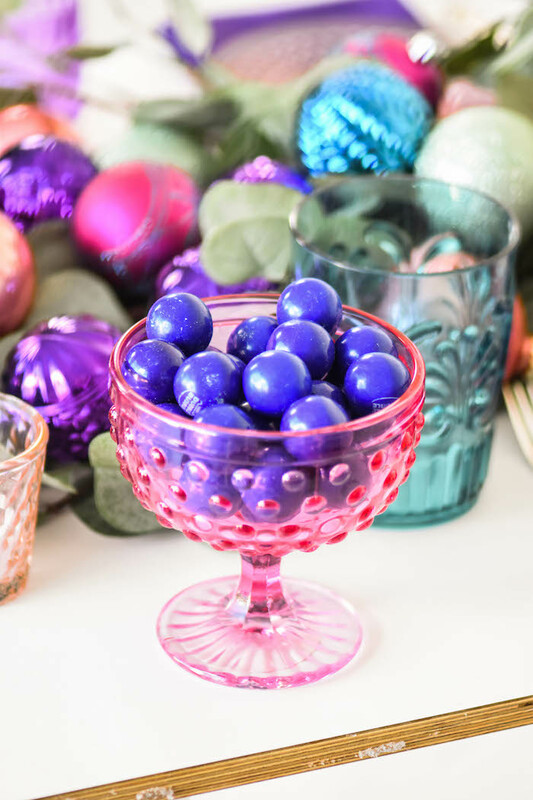 When you throw a party, you are opening your home to friends, family, and even new acquaintances. This is the beauty of parties and celebrations! 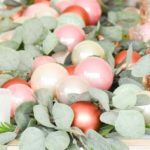 But that also welcomes the opportunity for unfamiliar bacteria to enter your homeand even for your guests to pick up lingering bacteria in your home. 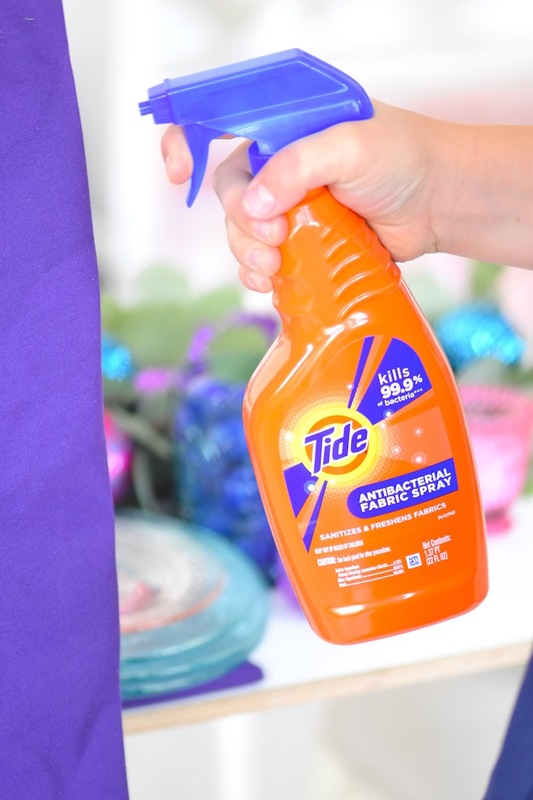 Thats where Tides Antibacterial Fabric Spray comes in: it kills 99.9% of bacteria on tough-to-clean fabrics and clothes, from the brand who understands how to clean and protect fabrics most! 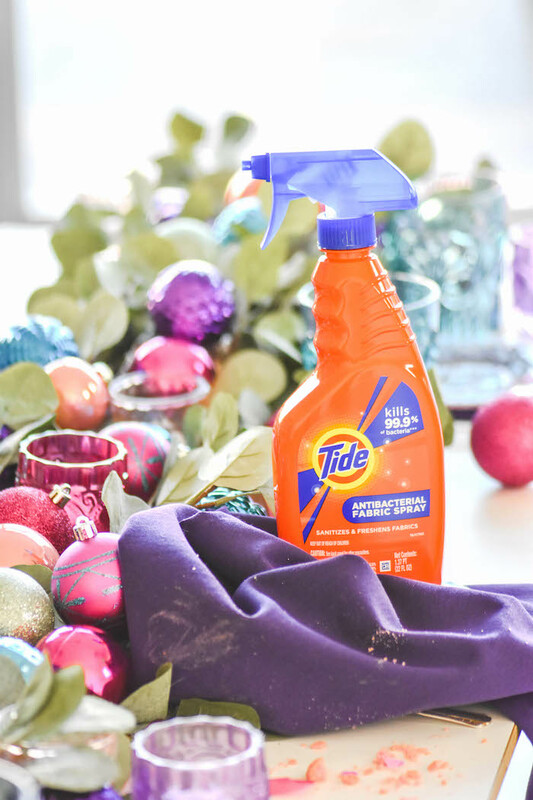 Its the perfect way to sanitize table linens, cloth napkins, upholstered chairs, bedding, couches, and more to prep your home for your guests arrival, as well as clean up after the party ends so prevent any uninvited guests from sticking around. Just spray on fabrics and let sit for 5 minutes. 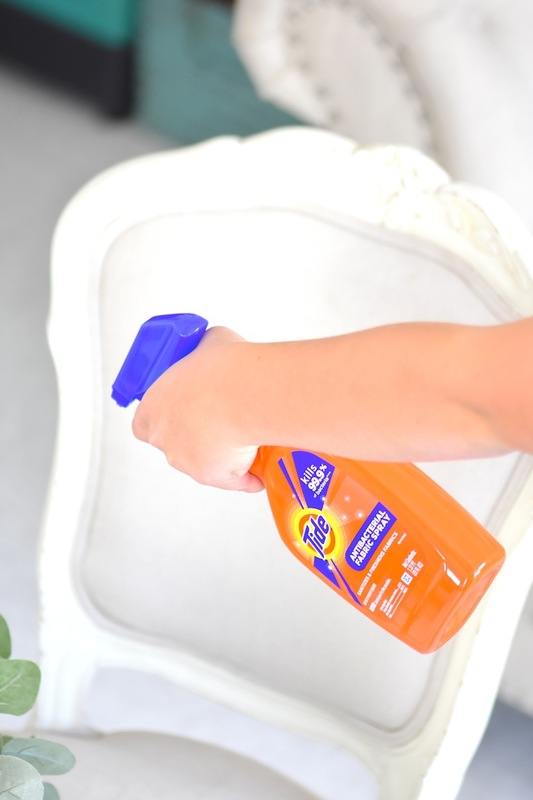 No need to wipe or wash away. One of my favorite things to do while prepping is to play some fun and upbeat music to get into the groove of the upcoming party. 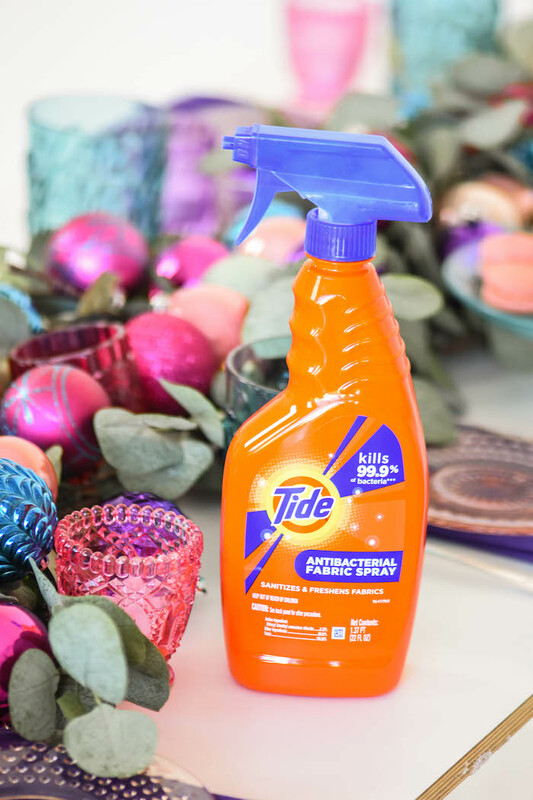 Just imagine me dancing around with a Tide Antibacterial Fabric Spray bottle, spraying nearly every fabric surface in my home to the beat! What a sight that is! 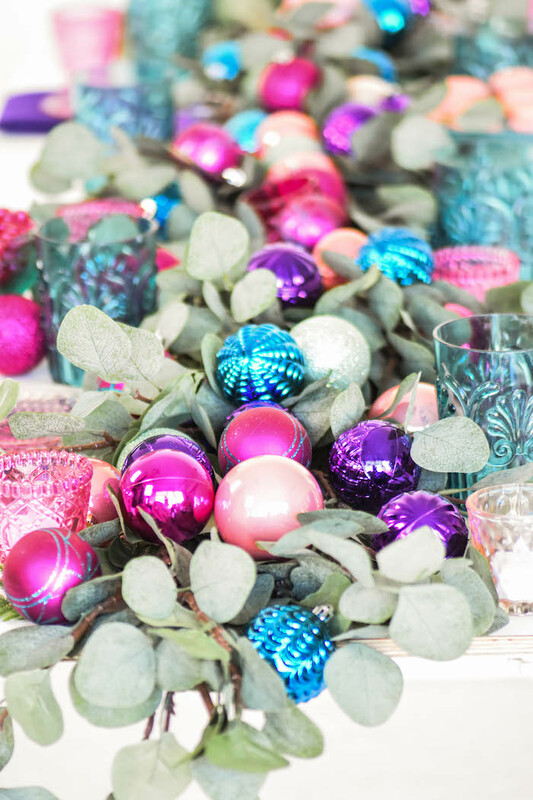 Once everything is looking and feeling fresh, it’s on to the styling! 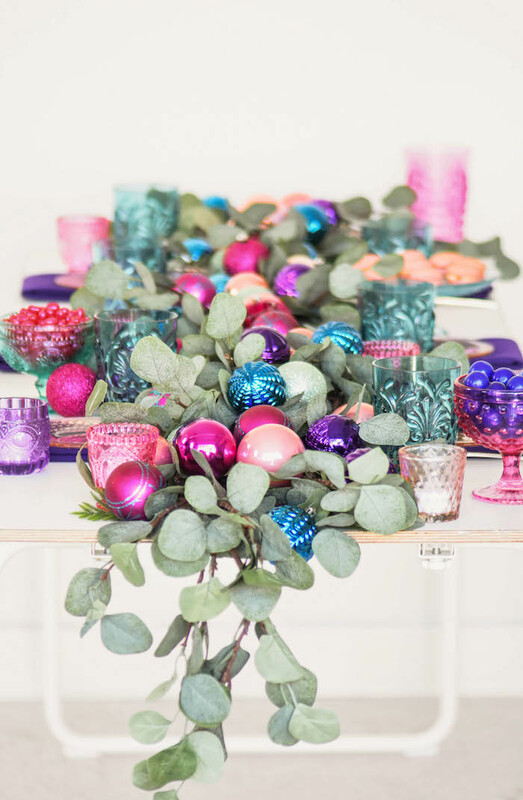 Look through the pictures below and read the tips I have for you to recreate a trendy event. 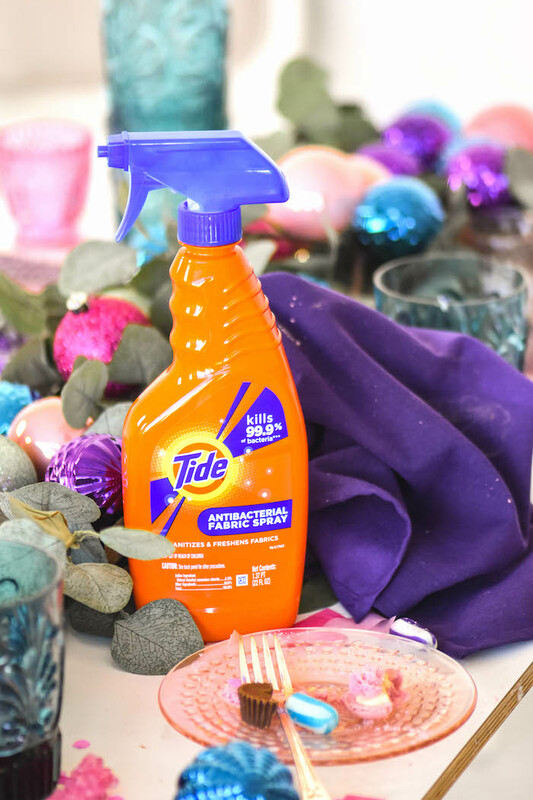 Here is my easy-as-pie party prep secret weapon! Let’s just take a minute and admire the beauty here. It’s a perfect urban sophisticate style. The deconstruction of this style starts with the cohesion of circular elements. 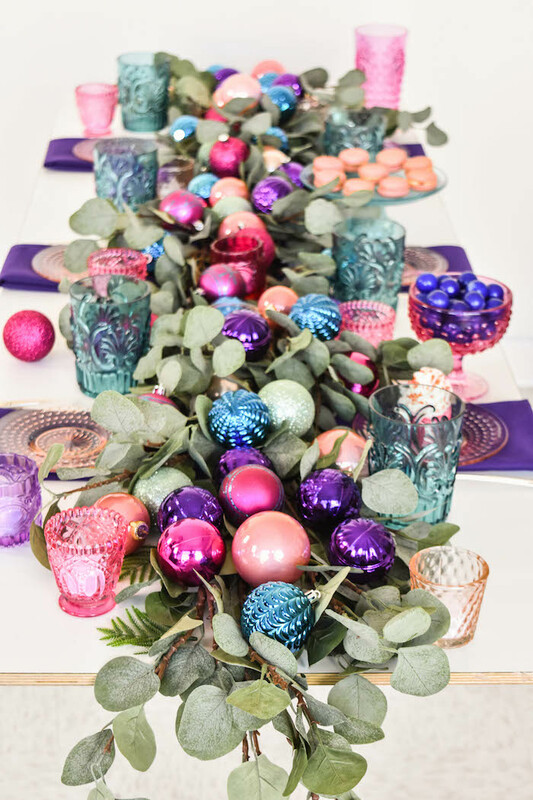 The center swag greens are the base and I placed bright and colorful circular ornaments with varying textures throughout the swag. 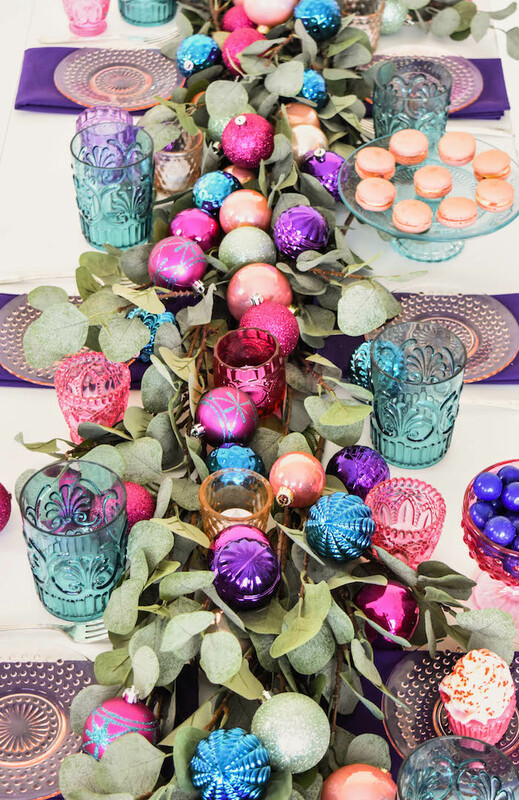 This theme is carried through the rest of the party setup through the glass elements and colorful treats. 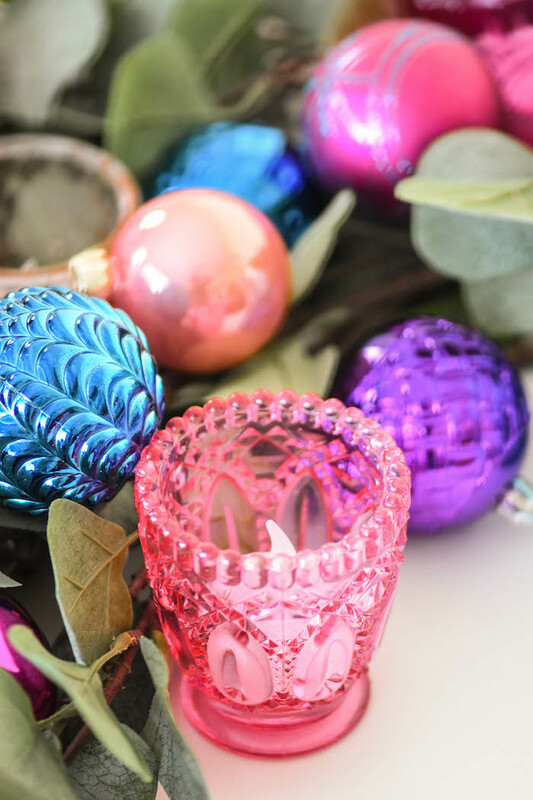 Don’t you just love the texture on the glassware? It adds a layer of visual interest to the partyscape. I placed a bright purple napkin under each plate. 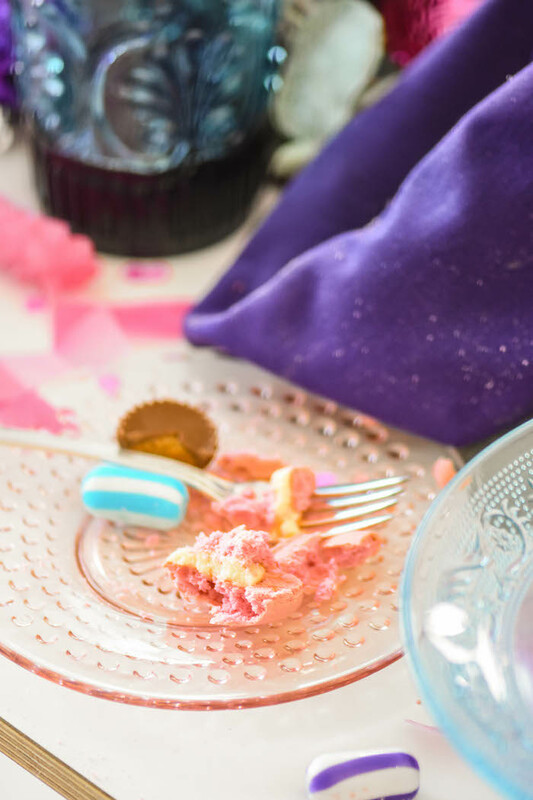 This was part of the visual delight of the party and I LOVE to use cloth napkins because they add to the sophistication of the event. This is also a great way to add layers to your setup. No expensive chargers needed! The sweet treats I served matched the color scheme. 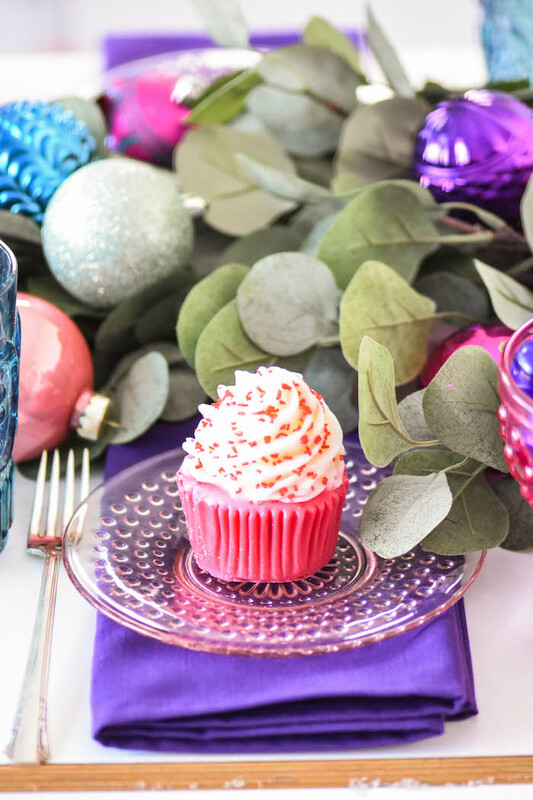 Notice how I am not afraid of messy menu items like crumbly cupcakes piled high with sticky frosting and sprinkles. 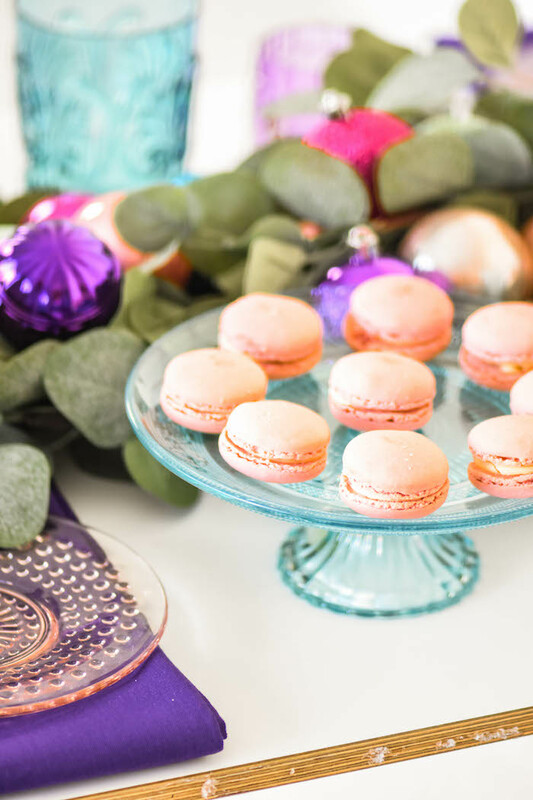 Mmmmmm…..
French macarons are a must at every sophisticated party. Plus, they are one of my favorite sweet treats. 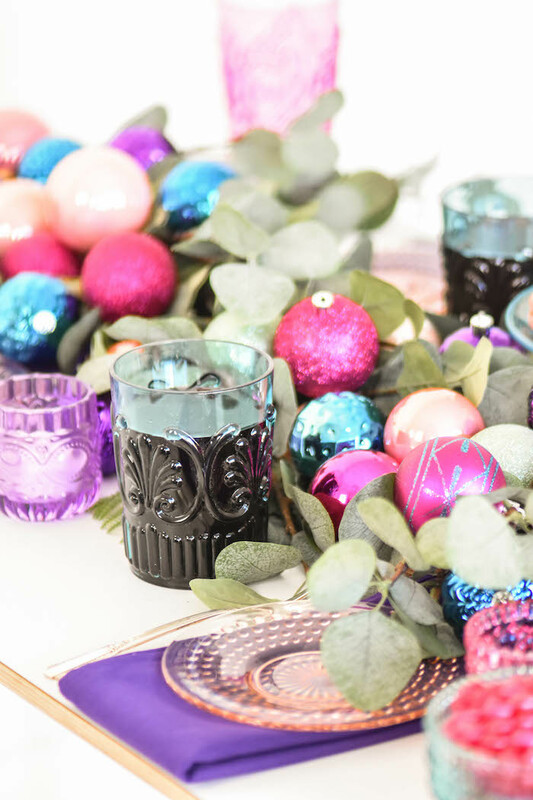 The best part of this party is that I can use all my decorations on my Christmas tree, creating a urban sophisticate Christmas tree vibe this year. As I mentioned earlier, I love to use cloth napkins for my sophisticated parties. The only problem is that I can’t just throw them away. Plus, they can also harbor un-invited guests, like germs. 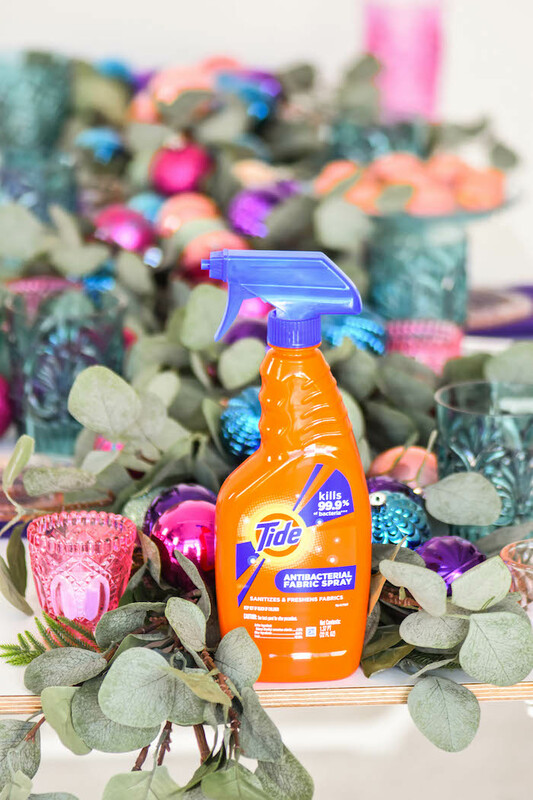 So, I keep things clean and kick those invited guests out with a quick spray of Tide Antibacterial Spray on the used napkins before I pick them up to throw them in the washer. 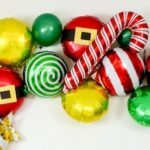 Every hostess wants her home as clean and fresh post-party, as it was before  even the party favors guests may leave behind (AKA bacteria). 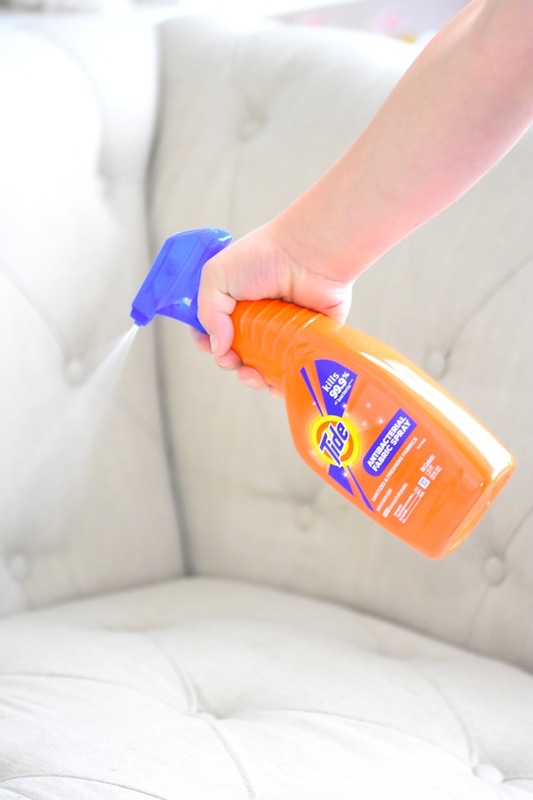 Thats why I use Tides Antibacterial Fabric Spray on the upholstered chairs, couch, pillows, even bathroom hand towels as my first step to clean-up. I encourage you to implement this secret weapon like I did, and I am happy to say that you can use this exclusive coupon here to get started!